We all know how identities-notably, those of nationality, class, culture, race, and religion-are at the root of global conflict, but the more elusive truth is that these identities are created by conflict in the first place. 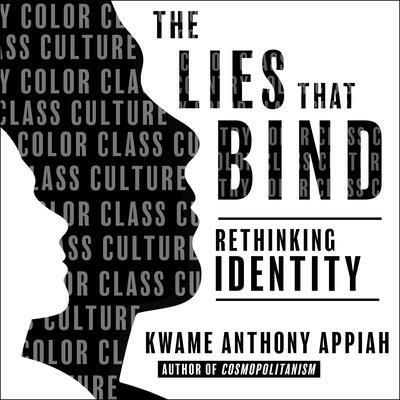 In provocative, entertaining chapters, Kwame Anthony Appiah interweaves keen-edged argument with engrossing historical tales-from Anton Wilhelm Amo, the eighteenth-century African child who became an eminent European academic, to Italo Svevo, the literary genius who changed countries without leaving home-and reveals the tangled contradictions within the stories that define us. The concept of the sovereign nation, Appiah shows us, is incoherent. Our everyday notions of race are the detritus of discarded science; the very idea of Western culture is a shimmering mirage. These beliefs, and more, are crafted from confusions-confusions Appiah sorts through to imagine a more hopeful future.